Our dedicated team of PhD Study Skills Leaders offer a range of support in academic writing, mathematics, statistics and study skills (e.g. time management, exam preparation, understanding assessments) to all students, whether you are anxious about starting your first assignment or want to know how to produce a really good final year project. ​Developing skills is a gradual process and does not happen overnight. It is very much an individual process that you build on as you progress through your programme. Our emphasis is on assisting students ito fulfill their potential, to help improve their self-esteem and employability by becoming more independent and effective. 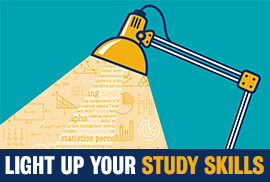 Developing and reflecting on your study skills will help to boost your confidence and support you with the skills necessary to undertake a course in higher education and beyond. Please see the Study Skills Leader videos and our Charter below to find out more. 45 minute one-to-one appointments with our Study Skills Leaders are available during the times below. Slots and Study Skill Leader availability may vary - Click on the campus links below to check upcoming appointments for details and to book. You can book 1 appointment per week, up to a maximum of 3 appointments in each booking period (Oct - Dec, Jan - April, May - Jun, Jul - Sept). This is to allow fair access to appointments and to help ensure the service is encouraging you to develop as an independent learner. We reserve the right to cancel bookings made by anyone abusing the service. You can use the biographies to find out more about the Study Skills Leaders. Please let us know if you have requirements relating to access or location by contacting us in advance at studyskills@kcl.ac.uk. How can Study Skills appointments help me? sources of support available at King's. source of resources to help you to develop your academic skills. Access using your King's login details.